We never actually manage to pull ourselves out of bed when the alarm clock goes off... until about a week ago. Well, it was for a worthy cause. 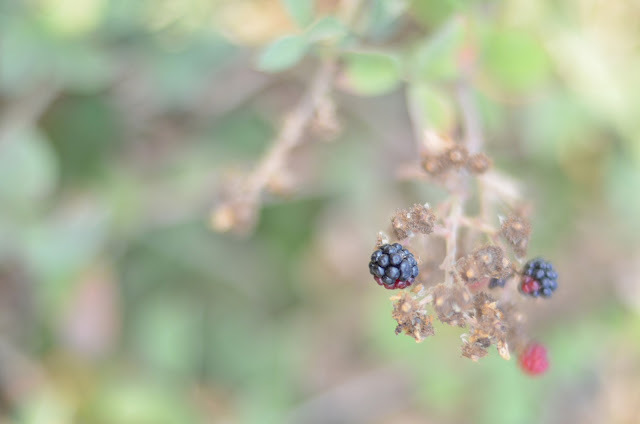 We got up at 04:30 IN THE MORNING and went picking for blackberries. It was absolutely worth it! I just regret not taking a few shots of sunrise. We gathered about three one-and-a-half-liter boxes worth of blackberries and froze most of it (because, like most folks, we like our berries mold-free). We went back for a few more rounds of picking since then and now I have trouble shutting my freezer door. What can I say? The situation is grave indeed. 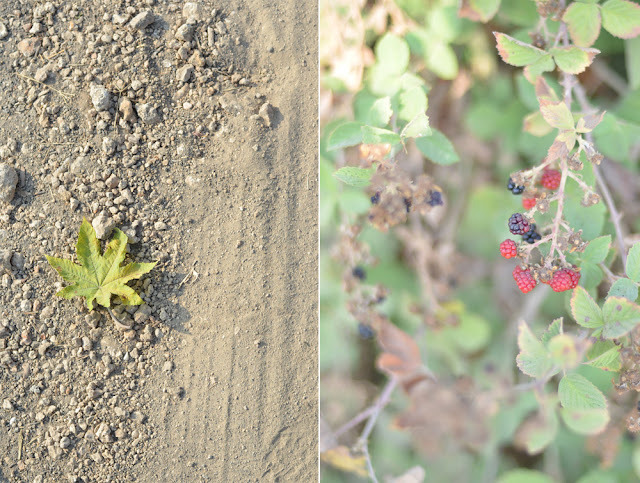 It was quite hot that day (Fall is not quite here yet), so I decided to make a chilly desert. I used cream cheese to stabilize the blackberry mousse which, I think, gave it a really nice texture. Hubby couldn't wait for these to chill properly already. Coarsely chop up the walnuts and sprinkle at the bottom of each glass (2 walnuts per glass). 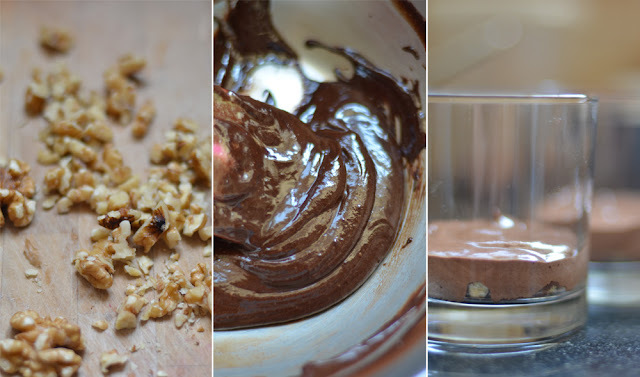 Melt the chocolate in a double boiler and set aside to cool. Mix the butter and 1/2 a tsp of sugar with a wooden spoon until the mixture is very soft and then stir in the cocoa powder. Stir in the chocolate. In a separate bowl, whisk the egg yolk with a tsp of sugar till the mixture is light and airy (it should lose most of it's color too). Fold the egg mixture into the chocolate mixture. Whip the cream to stiff peaks and fold into the chocolate mixture. Divide between the glasses and place in the fridge. Mash the blackberries. 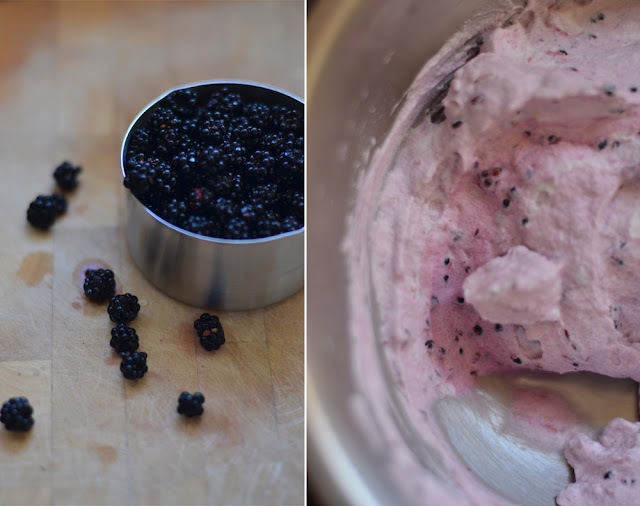 Take three tbsp of blackberry mash and combine it in a separate bowl with the lemon zest and cream cheese. Whip the cream with 3 1/2 tbsp of sugar to stiff peaks and fold into the cream cheese mixture. Divide between the glasses and chill for at least 4 hours. 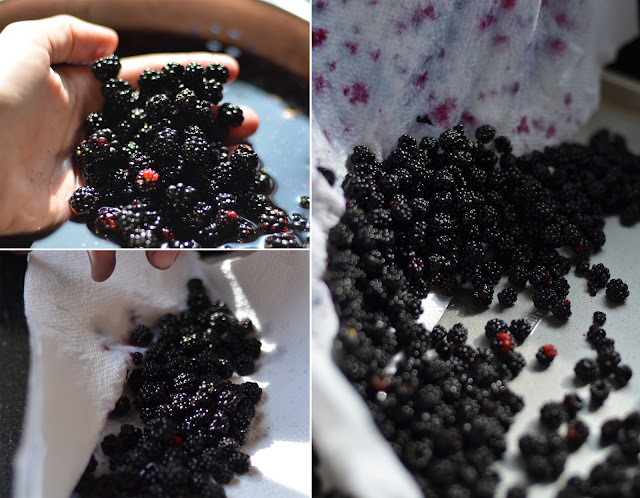 Keep the rest of the blackberry mash covered in the fridge for later. When you are ready to serve, mix the remaining berry mash with two tbsp of finely chopped mint leaves and divide between the glasses. Garnish with a few mint leaves. These will keep fine in the fridge for about four days (depending on how fresh the berries are and whether your other half can control himself or not).